*Indicates thread was used in some part of the pictured needlework. Some threads I placed in a particular value could be debated (but I had to place them somewhere). I wanted to utilize the 9-step gray scale that I learned about in Mary Shipp’s design class. And, I wanted to practice with stitches from Stitches For Effect/Stitches To Go by Suzanne Howren & Beth Robertson. But, I did not get the effect of dark (upper left) to light (moving down & to the right). And, the stitch selection didn’t help. I think this is an example of trying to do too much in one piece. I forgot about the One-Three-Five Rule from Mary’s lessons. Next time, I’ll eliminate either many of the stitches I selected or many of the thread types I selected or both! 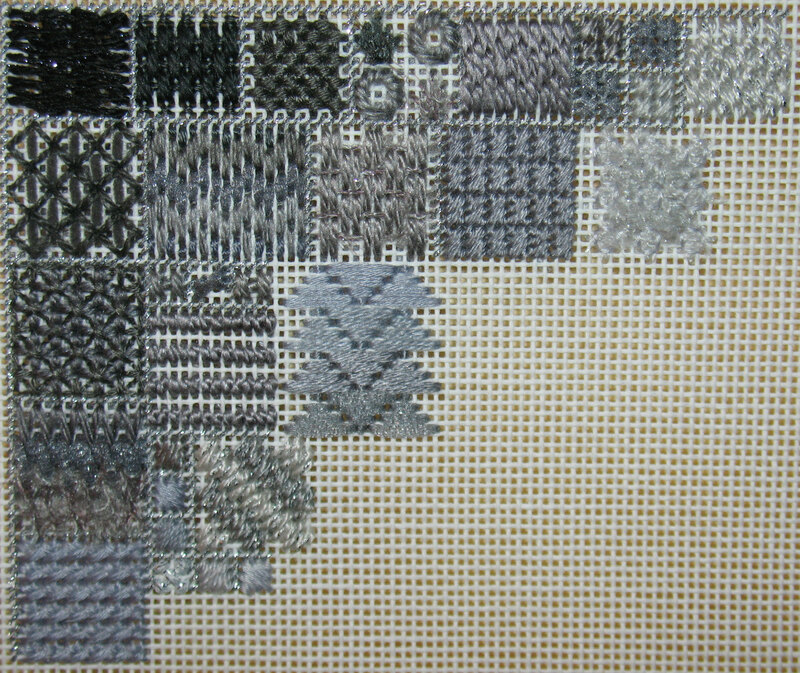 And, you may have guessed, that’s why I am using shades of gray in ANG SOTM 2010 Mystery project – I have quite a large stash now!